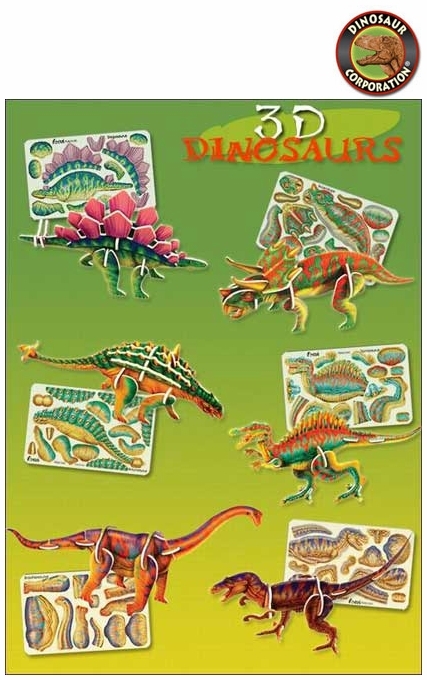 Home | PARTY SUPPLIES | DINOSAUR PARTY | 3D Dinosaur Plastic Puzzles, 4"
3D Dinosaur Plastic Puzzles, 4"
Dinosaur puzzles are plastic cards with punch-out pieces that build three-dimensional models. Dino Puzzles are easy to fit together, no glue is required. Featured dinosaurs are Triceratops, Stegosaurus, T-rex, Ankylosaurus, Brachiosaurus and Spinosaurus.